A prominent local physician, a prolific writer, an accomplished public speaker and workshop facilitator approaches a Virtual Assistant seeking help in promoting her website, books, workshops, and speaking engagements. Her website, custom built at great expense, is not doing as well as expected. It is not drawing traffic, nor is it generating revenue. The MD, seeking an increased online profile, is looking for expert help in promoting her website and increasing her speaking engagements, workshops, and book sales. The VA she chooses is actually an acquaintance, so the issue of trust between the two is not a factor. The virtual assistant, well-versed in the process of online marketing, quickly proceeds to build and outline a plan of attack for the doctor. She recommends the creation of a new WordPress blog, where the doctor can share valuable information and display her expertise, as well as creating a presence in Social Media. Further, since her new client has already created a great deal of content for her website, as well as papers for professional journals and articles for online magazines, she suggests this content be re-purposed and offered in a fresh format on the blog. Beyond these basics, it is recommended the doctor make herself available for Podcasts and online interviews; build a collection of her favorite articles and offer them in a free eBook to promote her new Facebook Page, and promote her writing with a slide-show video to be embedded in her blog and website, as well as being offered at Slideshare and on YouTube. A budget is established for the implementation of this comprehensive online marketing strategy and is approved by the client. As the plan takes shape, wonderful things begin to happen. Within weeks, the doctor’s new blog begins to climb in the Google rankings, exceeding all expectations. Traffic to her website also improves, though not at the same rate. Her new presence on Facebook, where her free eBook is the reward for “Likes,” generates dozens of “Likes” and “Shares,” which also lead to “Follows” on her blog. Her Twitter “Follows” also improve dramatically. More importantly than these however, her presence on the Professional Social Network LinkedIn begins to generate new inquiries and interest in her speaking engagements and workshops. The plan is working! Over the next few months her ranking with the search engines continues to improve, and interest in her blog, website, and Facebook page are growing. Her eBook has generated new interest in her published work and sales of these have also improved. She has also seen a modest increase in speaking engagements and workshops. So, while not overwhelming, the improvements are impressive, the client is very happy, and the future looks bright indeed. BUT, and there must be a “but” in this story, right? But, the flow of content to be posted to her blog soon begins to dwindle, despite the fact that our doctor has decades of writing to offer. As a result of the lack of fresh content, traffic to the blog – and the website – begins to slow. The rankings for both soon level off, then begin a downward slide. Soon, even the interest in her free eBook begins to wane, a result of a lack of interest and fresh traffic to her sites. Her “Likes,” “Shares,” and “Follows” soon evaporate and even her professional contacts at LinkedIn begin to fade. Why did the content dry up? What happened to our doctor’s excitement and energy? Where did she go? There can be any number of reasons for a lack of content: poor writing skills, lack of relevant information to share, disinterest, lack of time. These were not the reasons for the above mentioned doctor. She is a prolific and talented writer with years of expert information to offer. Time constraints should not have been an issue, as the content was re-purposed for her; edited and re-formatted to better fit her blog – and even posted for her. In fact, we do not know or understand the reasons for her sudden lack of participation. Ultimately, the reasons matter little. The outcome is the point. The doctor’s lack of participation in the online marketing plan she paid for eventually ruined all the gains made on her behalf. Her lack of fresh and re-purposed content forced her blog and website from the rankings, and doomed her social network identity to relative oblivion. Her new professional contacts dried up because she refused to nourish them with fresh content. The money spent was wasted, as was the time and effort of the VA. The world of online marketing is NOT a passive pursuit. Simply creating an online presence is not enough. Your online presence must be sustained and nurtured. Content – the creation of fresh, timely, relevant content – posted regularly – is the only way to accomplish this. The inability to generate content for your blog or website, for whatever reason, need not be debilitating. By re-purposing content, or buying fresh content, you can easily generate a flow of useful information to your blog or website. Even the use of professional writing services to create fresh content for you makes sense if you are trying to protect your investment of time and effort, not to mention money, in your online marketing campaign. 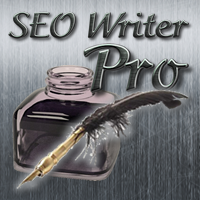 SEO Writer Pro is one such service, offering affordable SEO article writing, fresh blog content, re-writing, and well-written, keyword-rich content for your website. This entry was posted in Case Studies and tagged blog content, blog content writer, blog writing, Freelance Writer, fresh affordable online content, how to write a blog, keyword-rich content, web content, well-written content, writing services. Bookmark the permalink.